As we all know the Masters comes once a years as does the Super Bowl. 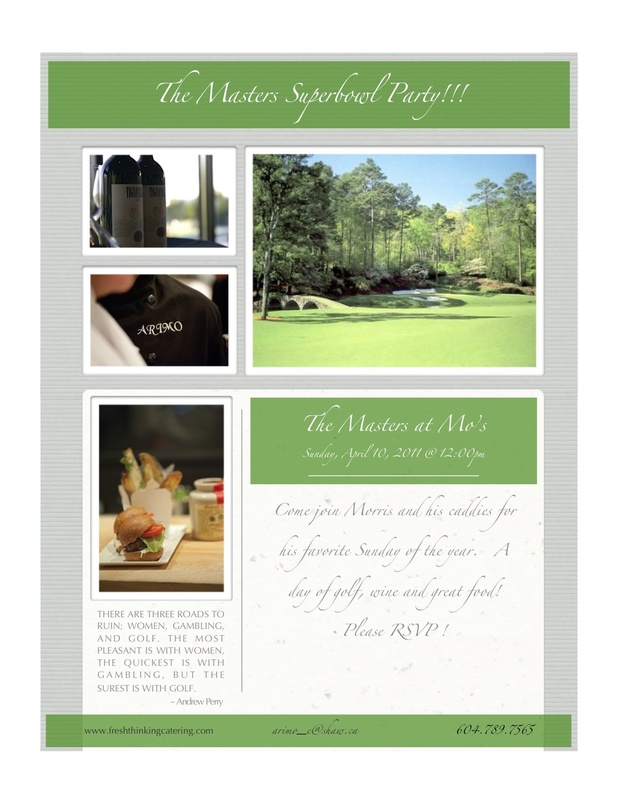 This years Masters party was held at my good friend, Morris's house. The menu was gourmet home made pizzas for lunch followed by veal, pork and beef lasagna with caesar salad and garlic bread.....oh, and did I mention great wine?